It’s tax time again in Canada! This means many of you will be doing taxes in Canada for the first time. In my work at H&R Block I have assisted many new Canadians and temporary residents with their first Canadian tax returns. For many new Canadian residents, you will receive some tax forms from your employer, but not necessarily any advice on what to do with them. Well, I think I can help you with that. Let’s get to it, shall we? What is going on, anyway? When people in North America talk about “doing their taxes”, they are usually referring to filing a statement (called a return) with the government that calculates the income taxes you owe for the previous calendar year. 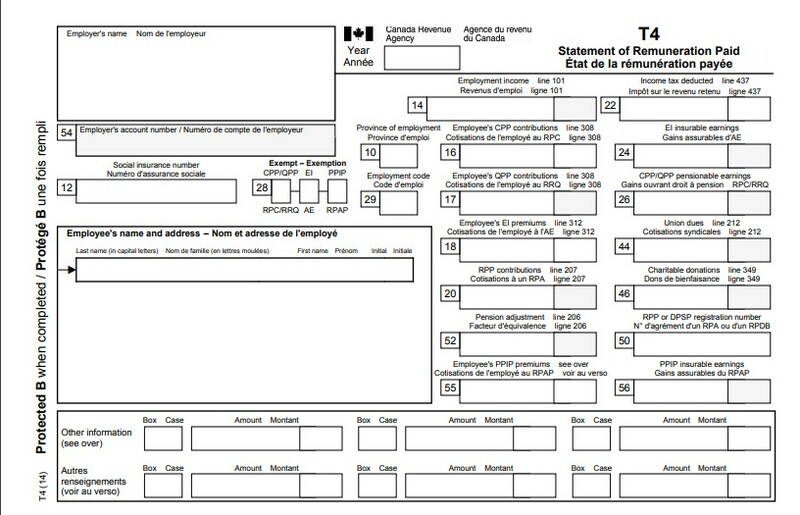 For most Canadian residents, their Canadian tax return needs to be submitted by April 30. 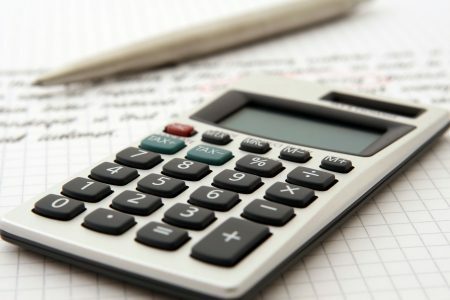 Unlike other countries, the North American systems are based on the assumption that no one knows exactly how much income tax you owe in a year until the year is finished. For Canadian Residents, the fiscal year is, therefore, Jan 1st to Dec 31st. After that, you then have a few months (until April 30) to file your return. Most companies need to complete their fiscal year-end processes before sending out tax documents. So you can expect to receive a T4 Statement (Statement of Remuneration Paid) from your employer(s) sometime after mid-February. This form shows the Income you received from that employer, together with the Income-tax you had deducted and certain other deductions. Employers are legally required to prepare and send/post this document by the end of February, but some wait until the last minute, and some are just sloppy, so it’s not unusual for these statements to arrive in March. We’ll talk more about them in a future post, but for now, just be aware that they are probably the most important tax documents you’ll be receiving. So be on the lookout for them. Recently, the trend has been for employers to make an electronic copy of the T4 available to employees rather than a paper copy, but many employers still mail or distribute a paper copy. If you are in doubt, do not be shy about asking your employer when they will give you your T4 or how they will provide it to you. There are exceptions: certain very casual or informal jobs (Doing babysitting for a friend, for example) may not provide a T4 at all, and some jobs may provide you with a T4A instead, which is handled differently (and we’ll discuss that in a coming post as well). The main thing is to find out what you will be getting, and when. February is the time to be gathering your papers and preparing. Canada taxes based on Residency. This “residency for tax purposes” is not an immigration status and should not be confused with being a Permanent Resident; it simply means that you need to determine where you normally live before you can do your taxes. People living or working in Canada need to pay and file Canadian taxes. Sounds simple, right? But this can be a complicated question for your first year in Canada, so we’re going to talk about it in detail next time. Stay tuned. Do you have tax questions? Feel free to send them to brian.clarke@greystonecollege.com with Tax Questions” in the subject line. Brian Clarke is an instructor in the Business Communications program as well as a Seasonal Instructor and Tax Preparer for H&R Block Canada. He has also previously worked as a tax researcher for North American jurisdictions for a payroll software company. Views expressed are not necessarily those of the H&R Block corporation or Greystone College and are for general informational purposes only.